Evergreen glossy green large leaves,the new growth is pink to red.Makes a good individual specimen at the back of a border or an interesting hedge. Height to 3 metres. Delightful small tree is stunning when covered in pure white flowers in April. Brilliant orange/red Autumn foliage colour too. 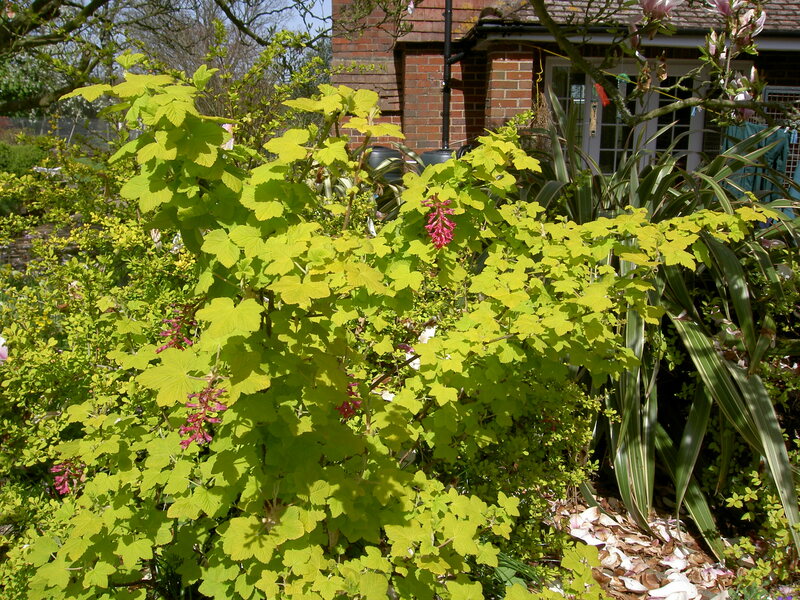 'Flowering Currant'.This variety has golden-yellow foliage,the pendulous racemes of pink flowers are carried in spring.Best grown in light shade. 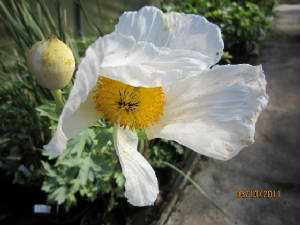 'Californian Tree Poppy'. Best grown near a warm sunny wall in well-composted soil this is a spreading shrub with attractive glaucous foliage and open,papery pure white flowers borne over a long period in summer. Long,lanceolate leaves are a delightful silvery-grey making this shrub stand out. Can be grown as a tree with a clear stem or pruned to make a more natural bush shape.